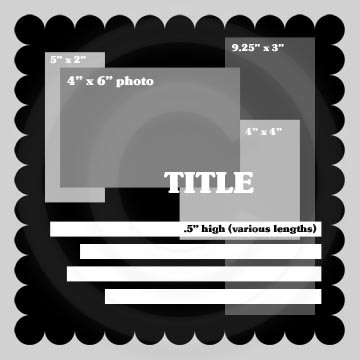 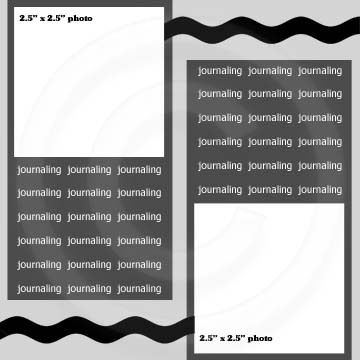 Choubox Digital Scrapbook Layout Templates take the idea of an "overlay" one step further, as they consist of not only picture placement, but they also include templates for other design elements, such as photo mats, journaling or patterned paper strips. 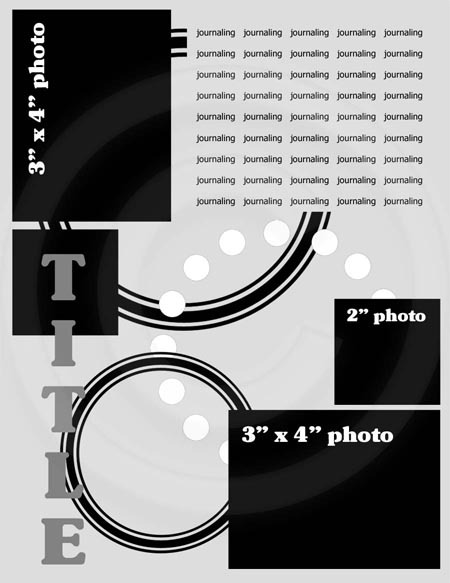 The benefit of this type of template is that you have almost an entire layout created for you - in individual parts (layers) - so all you have to do is add pictures, journaling, paper, and embellishments. 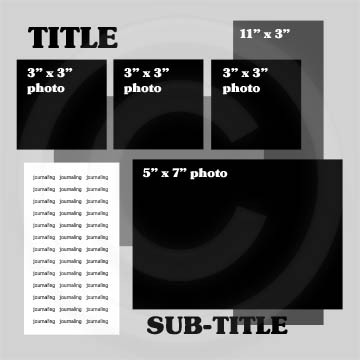 Each of my templates contain PNG files saved at 300 ppi for high-quality printing capability and come in a variety of sizes.